Note: these splicers were made in metal as well as plastic. The metal ones were called "Deluxe". This same splicer design was made in 16mm and 35mm formats. 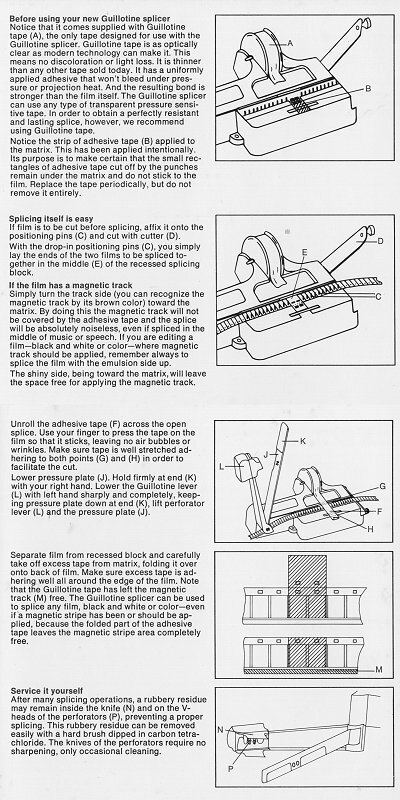 The inventor Dr. Leo Catozzo won an Academy Award (Technical Achievement Award Certificate) in 1989 for the design and development of the CIR-Catozzo Self-Perforating adhesive tape Film Splicer. This is the same Leo Catozzo who was the editor on Fellini's La Strada, La Dolce Vita, 8 1/2 etc.